Developed by veterinarians, scientists and approved by leading farriers. 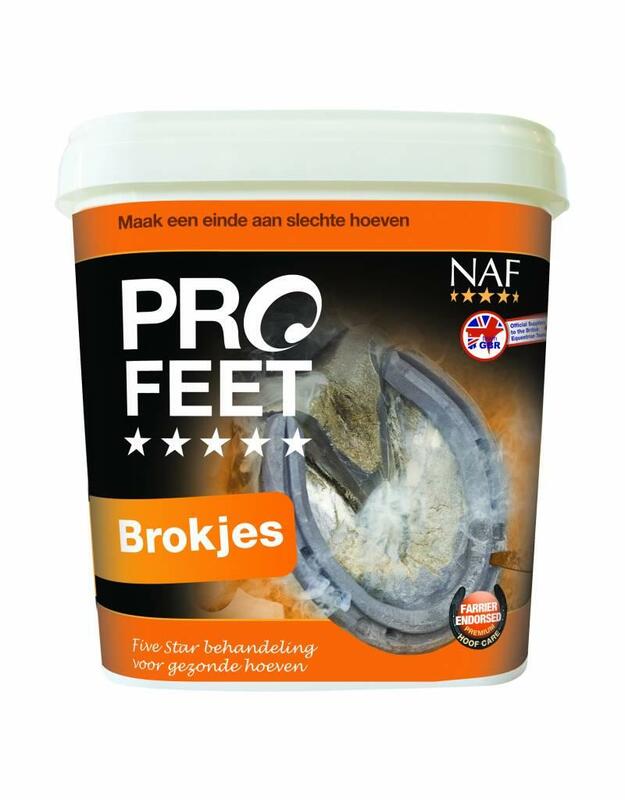 PROFEET offers Five Star nutritional support to promote the quality of hoof growth and contributes to the protection against torn and brittle hooves. No separately administered nutrient works optimally and this certainly applies to biotin, which has long been recognized as the key to nutritional support for the hooves. PROPHET provides the recommended levels of biotin in combination with other important nutrients for hooves such as methionine, biological sulfur, zinc, vitamin complexes and minerals. Unique: PROFEET contains a natural antioxidant complex to support the health of the hooves and the coat through holistic support of the entire system. The largest organ in the body, the dermis (skin and hooves) often gives a good indication of general health. Poor hooves and fur may indicate an overloaded physical system. PROPHET supports the general health of the horse, which will be reflected in a shiny coat and strong, healthy hooves. Hooves are also susceptible to environmental influences caused by exposure to wet muddy meadows and / or absorbent, drying soil.